The NHS Commissioning Board is looking to use multiple secure email providers via the government’s G-Cloud framework. The move would be the largest deal yet to go through G-Cloud, pushing many millions of pounds through the framework. Around half a million users are currently on the secure email service NHSmail, which runs on Microsoft Exchange 2007. The contract for the single email service with Cable and Wireless is due to expire in July 2013. 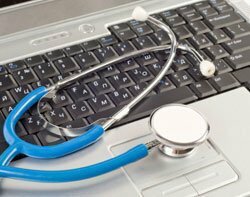 The NHS Commissioning Board is working with the Cabinet Office to see a range of secure cloud email providers added to the next version of the government’s G-Cloud framework, expected in December. Denise McDonagh, programme director for the G-Cloud, said the she was working with the NHS and a number of other organisations to add a range of email providers accredited to supply restricted email services. “We are looking for a significant number of suppliers to add the framework, which could potentially be used across the whole of the NHS and other government departments,” McDonagh told Computer Weekly. She said the government’s open standard principles would enable a multiple range of services to interoperate. “We already have the capability for restricted-level services on the G-Cloud, but not enough at the moment to make it a really competitive market,” she added. Jon Lindberg, head of the healthcare programme at trade association Intellect, is working with the Cabinet Office and the Department of Health to engage the supplier community on G-Cloud secure email services. Lindberg expects several cloud email suppliers – such as Google, Novell and General Dynamics – to win accreditation under the move. “There are multiple benefits to using the G-Cloud for email services, as it will open up the market and drive down costs, as well as introducing innovative services and choices for users,” he said. “Other departments such as the Ministry of Justice are also interested in secure email services on the G-Cloud,” he added. The NHSmail 2 – Project Overview document said the Commissioning Board anticipates it will use the G-Cloud framework on its procurement route. “We anticipate that the G-Cloud 3 refresh will update the catalogue by March 2013. We then anticipate that suppliers will be selected by June 2013 to have the NHSmail 2 new core service live by a target date of September 2013,” it added. A spokeswoman from the Department of Health said the G-Cloud was one of a number of options currently being considered for the NHSmail 2 project.